By Kate Dagli in Hosting. Updated on August 3, 2018 . Selecting a web hosting service is all too often done in a matter-of-fact way, where pricing is often the driving factor. People pay little attention to the hosting service’s performance. This can affect the speed and data handling capacity of the website itself. Most business owners recognize the value of quality content, which is a good thing. They also understand the benefits they can gain from a website that is responsive, retina ready, and SEO friendly. However, business owners need to go one step further and take the time to ensure that the hosting service they intend to go with is reliable. They should also make sure that their website and any associated data will always be safe, and always accessible. There’s no shortage of excellent hosting companies that would like to do business with you. There are dozens of them in fact. Here are 5 of the very best. SiteGround is a well-managed hosting service with 5 data centers in three continents, a good customer support, and affordable prices. It runs the latest software on its servers (Apache, PHP, MySQL etc.) and provides the newest technology in speed performance: SSD drives, NGINX, HTTP2, PHP7. On top of that, its in-house WordPress caching solution – the SuperCacher manages to speed up a website’s performance up to several times. Also, SiteGround’s customer support is available 24/7 on different channels with knowledgeable support agents capable of handling questions that go beyond web hosting. It offers one-click installations of the most popular CMSes, free migration from previous hosts, free CDN, SSL and daily backups, designer/developer friendly tools like WP-CLI, Drush, SSH, FTP, GIT integration, Automatic WordPress updates and staging for WordPress and Joomla. A2 Hosting offers a variety of hosting options centered around speed and performance. All you need to do is to choose the server option that will best fit your needs. Either you want to have your website(s) hosted on a private server, or you would opt for managed VPS hosting, or cloud VPS hosting, A2 Hosting has a solution for all of that. Whichever option you select, you’ll experience fast page loading through its Turbo server or SwiftServer options, as well as great uptime, and rapid support should you ever require it. 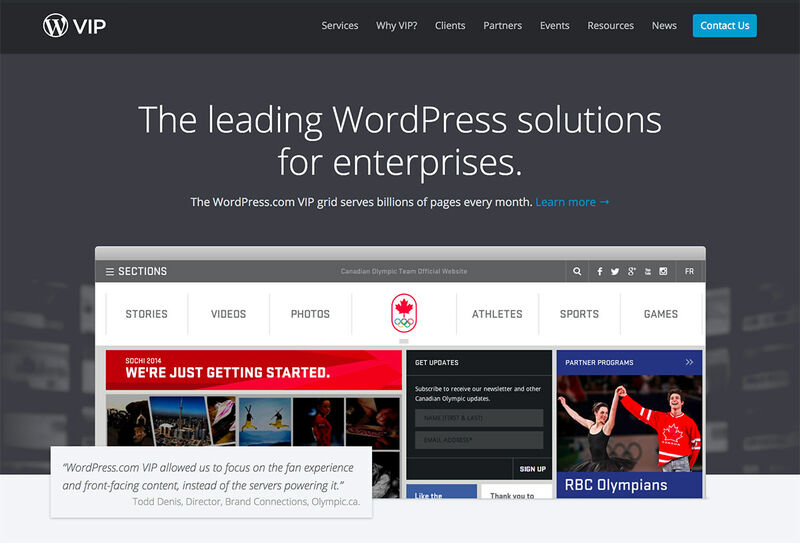 WordPress VIP cloud hosting service ensures you’re getting the most out of the web’s most commonly used CMS. It charges you on a flat fee basis as well, so it doesn’t matter if your traffic or disk space requirements change. If you’ve exceeded the limits of your current shared hosting plan, and your hosting service is telling you it’s time to upgrade to a managed VPS plan, it might be a good idea to give GlowHost a look. GlowHost offers 3 different hosting plans within their Elastic Sites function. 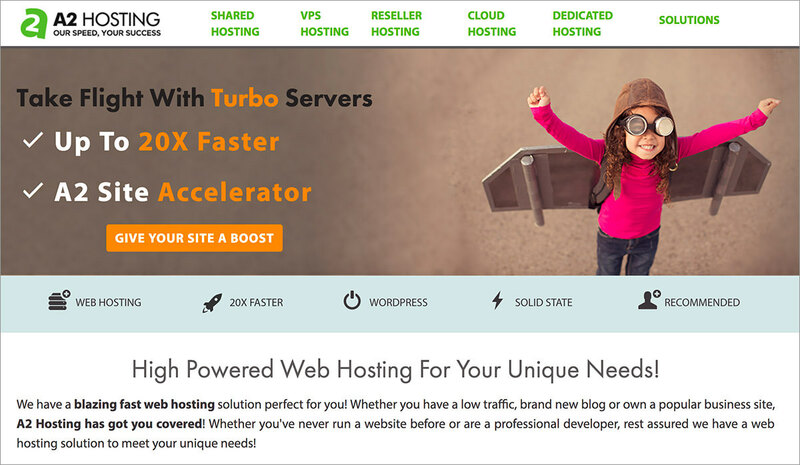 It’s like shared hosting from your perspective, but more like a VPS to the website itself. The right plan for you depends on whether you have a single website or unlimited multiple websites, and your RAM requirements. Pagely is a Managed WordPress Hosting service tailor-made for big brands with large sites. Pagely provides high-availability through its own security suite, cache, and CDN built in-house by the same team that manages customer accounts. It’s 100% revenue-funded focusing completely on customer success, not hitting targets for investors. The reason behind your eventual hosting choice may seem obvious, and when you’re making your selection from the best hosting services out there, it may well be a slam dunk situation. Still, it never hurts to take the following tips into account to ensure you choose the best option for your website. Ask yourself questions like: What does your website do, what type of website is it, and what are your future expectations for it? Reason being, your choice of a hosting service could be quite different if your website is a personal one or a blog, as compared to an online store or a website for a large business. If you’re expecting to experience growth in your website’s traffic or an eventual need for more data capacity, it would be wise to select a hosting service, or better yet, a hosting option, you’ll be able to stick with. Good customer service is always a must have. Look for a host that promises a rapid response to your questions or problems, and one that reacts quickly in the event of an unanticipated service disruption. Read the reviews, as it’s nice to know what a hosting service has to offer, but it’s better still to know the pros and cons of that service. Both customer reviews and professional reviews tend to be more helpful than testimonials. Look for any issues customers may have had with respect to system performance or customer support. Never base your selection on the price alone. If your website is a hobby website, a cheap hosting package may be suitable, but you may have to put up with slow page loading or excessive downtime. You usually get what you pay for. So, select the package that fits your needs, and you feel you can afford, so you can get great service and performance. Read the Terms of Service. You may be one of the few who ever does so, but it’s the best way to avoid being blindsided if you have to change or upgrade your hosting option, or want to request a refund. Make it a point to look into the hosting service’s backup plan. If they don’t have a rock-solid one, look elsewhere. Disruptions in service can be irritating, but permanently losing data because it hasn’t been adequately backed up is far worse. Plan on the possibility of an attempted security breach. These happen all the time, but a premier web hosting service will do whatever is necessary to keep your private information, and that of your customers, safe at all times. These 5 hosting services can give you good quality and cost-effective solutions for your different hosting needs. At least one of them should meet your needs and more than there will be two or three to choose from. They all provide fast loading, reliability, and rapid customer service.